Psst. Want more recipes? 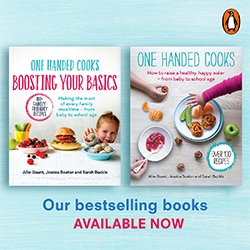 Check out our Foodie eBooks or bestselling books ‘Raising a healthy, happy eater‘ and ‘Boosting your basics‘. Firstly, lets get all the names out of the way: Baby Led Weaning (BLW). Finger Foods. Family Foods. How we fed kids in ‘our day’. Non-spoon fed meals. Insert other new and possibly confusing name [here]. Stuff that is picked up by cute chubby hands belonging to a baby or toddler and smushed, chucked or eaten, or preferably both. Makes sense? Great. Are you about to wean your baby and thinking of trying out the Baby Led Weaning approach to feeding your baby with finger foods right from the start? Or, has your baby started to refuse the spoon and you are scrambling for some hearty meals your baby can feed themselves? Or perhaps you are just after some new finger food ideas to allow play and experimentation on your baby’s tasting plate? 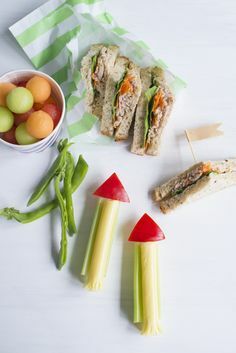 Whatever the reason, finger food recipe ideas are often top of parents search lists, and we think that’s fab. This list will constantly evolve to include new recipes and ideas. So why not take 10 seconds to save it to your desktop, favourites or share it on social media so it can be saved to your Facebook timeline, for keeps. Go on. OK cool. Here they are. 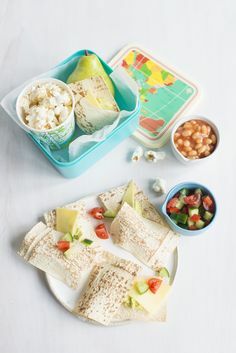 If you choose to start BLW by incorporating your family meals, good on you – what a simple and easy way to create one meal for the whole family. You will love our 1 Meal 3 Ways section. Sorry, sidetracked. I was going to say be mindful of your child’s age, homemade food is best with no added salt, sugar, additives or preservatives. Sore bought products such as pasta sauces may have too much salt for a young baby – read here about the dangers of salt for young children. Leave any adult or older children ingredients until after you have removed a portion for your baby. Ideal for ‘gumming’ these are a fun addition to your family food experimenting. Note: the current Infant Feeding Guidelines recommend foods with a high risk of choking such as whole nuts, seeds, raw carrot, celery sticks and chunks of apple should be avoided for the first 3 years as their size and/or consistency increases the risk of choking. It is also advisable to always supervise your children while they are eating to prevent choking. Disclaimer: This information is intended for general use only. It does not constitute medical advice and is not intended to replace the personalised care and advice given to you by your health professional team. You as the reader/parent/caregiver must always discuss any concerns or questions about the health and well being of your baby or toddler including BLW and starting solids with a healthcare professional. Please refer to our full disclaimer for more info. This post may contain affiliate links. If you purchase a product through an affiliate link, your cost will be the same but we will automatically receive a small commission. Your support is greatly appreciated and helps keep our content free and widely accessible to all. We will only ever promote products we genuinely use and believe in. this is amazing! definitely going to make some for baby william!!! I’m curious about freezing these amazing recipies. Are there any you would suggest not to freeze? How would you suggest to freeze most of these recipies? 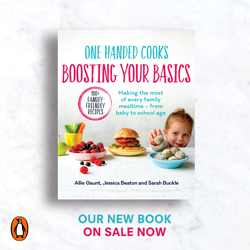 About toast – I thought babies aren’t meant to have wholemeal bread as it can fill them up too quickly, which means they don’t eat other foods and then miss out on nutrients? The thing I would change is to serve the berries cutted in halves (to prevent choking). Besides this, I’m definitely coking those for my baby daughter! Writing you from the Dominican Republic, i really love your recipes! !